Viktor Orbán’s Fidesz party has been suspended from the main pan-European centre-right party, as controversy over the far-right Hungarian leader’s place in the European mainstream comes to a head. “Fidesz will be suspended with immediate effect and until further notice,” Joseph Daul, the president of the European People’s party (EPP), announced on Twitter, saying 190 members had voted in favour and three against. The decision, made by a vote of delegates from member parties meeting in Brussels, follows widespread calls for Orbán’s party to be disciplined over alleged violations of rule-of-law principles. “The suspension entails: no attendance at any party meeting; no voting rights; no right to propose candidates for posts,” Daul said. Orbán said he had agreed voluntarily to pause Fidesz’s participation in the EPP, and had not been suspended. “I can share the good news that the EPP has taken a good decision. It maintained its unity and we can continue a unified campaign,” said Orbán, adding that he would campaign for an EPP victory in May’s European elections. The decision on Orbán’s future in Europe’s largest centre-right political alliance was seen as a test case for the EU’s willingness to take a stand against attacks on the rule of law. Orbán’s aggressive anti-EU poster campaign and the forcing out of the country of a leading university contributed to the proposal to suspend Fidesz. A committee of three, led by the former European council president Herman Van Rompuy, will consider Fidesz’s future in the group. The committee will also assess “the respect for the rule of law” by Fidesz, which is accused of trampling over judicial independence and press freedom. The Hungarian leader announced he would create his own three-person “wise council”. In a sign of the high stakes, Annegret Kramp-Karrenbauer, the head of Germany’s Christian Democratic Union, was at Wednesday’s meeting, which brought together all EPP parties in the EU. Kramp-Karrenbauer, Angela Merkel’s chosen successor, brokered the compromise to suspend Orbán, rather than expel him, after 13 EPP parties called for him to go. Party insiders said the debate had been painful. “We are a family and therefore such a decision may not be taken lightly,” the text on the decision states. It calls on the Hungarian government to take down the “fake news” posters targeting the European commission president, Jean-Claude Juncker. The campaign, launched last month, claims EU migration policy has fundamentally endangered Hungary’s safety. It has been dismissed by Brussels as a ludicrous conspiracy theory. Finally, the EPP calls for pending legal issues around the Central European University to be clarified – in response to its forced move out of Hungary. Manfred Weber, a senior EPP leader who hopes to become the next European commission president, led the calls for suspension, after setting three tests for Fidesz. The move to suspend Fidesz is a significant blow against Orbán and something many in the party have tried to avoid, fearing he would then align himself with Eurosceptics. The question became impossible to ignore, after Scandinavian, Baltic and Benelux countries said it was time for Orbán to go. Orbán has long faced criticism from a minority of EPP members over what they see as his backsliding on democracy and the rule of law. But patience of senior party officials finally snapped after Orbán launched his Juncker poster campaign and called party members “useful idiots”. Weber had worried that any move against Orbán would be seen as western Europe turning on the east, but he was under growing pressure to act. Critics argue Weber’s strategy to contain Orbán ignores deeper problems posed by his rule in Hungary. Petri Sarvamaa, a Finnish MEP who led calls for Orbán to go, said criticism of the vote was misplaced. 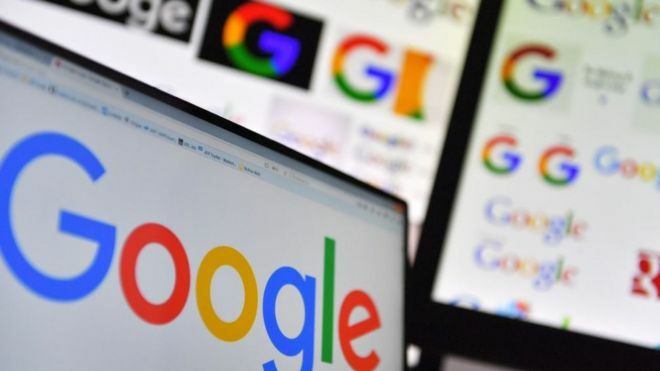 Google’s global affairs head, Kent Walker, said: “We’ve always agreed that healthy, thriving markets are in everyone’s interest. “We’ve already made a wide range of changes to our products to address the Commission’s concerns. O Brexit revelou os limites da democracia numa Europa perplexa perante um mundo que lhe escapa. Não se riam do Reino Unido, para o resto do mundo não se rir de vós. Tudo deveria ter sido muito simples: os cidadãos do Reino Unido votaram para deixar a União Europeia, o governo invocou o artigo de saída, a data ficou marcada, e no próximo dia 29 o Reino Unido deveria sair da UE. Acontece que provavelmente não vai sair. Nem no dia 29, nem, também provavelmente, em qualquer data próxima. Afinal, nada era simples. Uma das razões invocadas para justificar a saída — a soberania parlamentar – tornou-se rapidamente uma das razões para essa saída ser difícil: afinal, não bastava o referendo, o parlamento também tinha de votar. Pior: também muito rapidamente, descobriu-se que o voto pela saída não definira qual o tipo de saída. Mais ainda: a maioria de 2016 começou a parecer demasiado curta e circunstancial para não poder ser revertida em novo referendo. E eis como, ao fim de dois anos, estamos quase no princípio, com o Brexit a ameaçar tornar-se uma doença crónica da UE. Há quem culpe Theresa May, demasiado fraca, e há quem culpe os brexiteers, demasiado intransigentes com qualquer acordo. Há quem culpe Jeremy Corbyn, apostado em usar o Brexit para precipitar novas eleições. E há quem, claro, culpe Bruxelas, tentada a fazer do Reino Unido um exemplo de como, na integração europeia, a porta de saída é a porta para o inferno. Todas essas acusações terão algum fundamento. Nenhuma, porém, captura a verdadeira dificuldade. O cepticismo britânico em relação à Europa não une, divide: divide a Inglaterra, mais eurocéptica, de Gales, Escócia e Irlanda do Norte, mais europeístas; divide Londres, mais europeísta, das províncias, mais eurocépticas; e finalmente, divide cada um dos partidos de governo, Conservadores e Trabalhistas, ambos estilhaçados em correntes e facções. Os Conservadores, mais eurocépticos, têm uma líder suspeita de querer ficar na UE, e os Trabalhistas, mais europeístas, têm um líder suspeito de querer sair. No parlamento, as únicas maiorias são negativas. O eurocepticismo britânico também não é homogéneo nem corresponde a um projecto claro. Na restante Europa, é costume atribuí-lo a alguma ressaca imperial, ou a complexos de insularidade. Há alguma coisa disso, mas não é só isso. O eurocepticismo já foi esquerdista nos anos 70, quando os Trabalhistas fizeram campanha contra a adesão à CEE, para depois ser direitista nos anos 90, quando os Conservadores se começaram a agitar contra o “federalismo” de Bruxelas. Neste momento, ninguém sabe o que o Brexit poderá significar: uma Singapura, com um governo conservador, ou uma Venezuela, com um governo de Corbyn? Mas também ninguém sabe o que ficar na UE significa. Ora, nada disto é muito diferente do que se passa na restante Europa, onde as votações em candidatos hostis à UE começam a ser enormes: em França, em Abril de 2017, Marine Le Pen e Jean-Luc Mélenchon conseguiram, em conjunto, 40% dos votos; na Itália, em Março de 2018, o Cinco Estrelas e a coligação de Matteo Salvini, tiveram 69%. É verdade: nada aconteceu. Muita gente já se desiludiu com a UE, mas ninguém descobriu alternativa. Os europeus vivem num mundo em que pesam cada vez menos, e em sociedades em que a continuidade demográfica e os modelos sociais não parecem garantidos. Toda a gente tem soluções – mais nacionalismo para uns, mais europeísmo para outros –, mas nenhuma solução tem uma maioria. Somos, a esse respeito, todos britânicos. A grande diferença é que o Reino Unido, através do referendo, por mais circunstancial que tenha sido a sua origem, enfrentou a questão. Mas como se tem visto, nem sempre votos e debates levam a soluções. O Brexit revelou os limites da democracia numa Europa perplexa perante um mundo que lhe escapa. Não se riam do Reino Unido, para o resto do mundo não se rir de vós. Donald Tusk is to appeal to the EU’s leaders to be open to a long Brexit delay to allow the UK to rethink its goals in the negotiations. In what appears to be a shift in the EU’s red lines, the European council president suggested a lengthy prolongation could be granted simply to give Westminster time to recalibrate. Officials have until now insisted that only the triggering of a general election or second referendum could justify delaying Brexit beyond 29 March by more than a few months. The move by Tusk will be seen by some as an attempt to help Theresa Mayscare Brexiters into supporting her deal or face a prolonged extra period of EU membership during which the risk of a softer Brexit or second referendum would rise. But it also reflects the concern that a short extension of a few months would not resolve any of the issues in Westminster and merely wire-in a no-deal scenario this summer. MPs will vote on Thursday evening on whether to request an extension until 30 June to allow the necessary legislation to be passed should May’s deal finally be ratified in the coming days. The motion is amendable, and the prime minister has warned Brexiters that a longer extension could be in play should her deal be rejected again at a likely third vote by 20 March. The 27 heads of state and government are not agreed on the issue of an extension but would need to come to a unanimous view when they meet at a summit in Brussels on 21 and 22 March. Delays of between a few weeks to as long as 21 months have been mooted, with the Irish deputy prime minister, Simon Coveney, being the latest on Thursday to suggest that such a lengthy delay could be helpful despite the complications. “If you have a long extension of article 50, that opens up the debate in a much broader way to the overall approach that the United Kingdom takes to Brexit. That may facilitate a fundamental rethink, it may not, we just don’t know,” Coveney said. Detlef Seif, the Brexit point person for the Christian Democrat party of the German chancellor, Angela Merkel, and that party’s leader, Annegret-Kramp Karrenbauer, told the Guardian the European commission could relax its refusal to negotiate the terms of a future trade deal during such a 21-month extension in order to “rebuild trust”. But a number of EU capitals have concerns that a long delay would be used by Eurosceptics in the European elections to claim that the bloc was keeping the UK trapped. The prospect of a lengthy delay has been made more palatable after the UK’s advocate general in the European court of justice, Eleanor Sharpston, described claims that the European elections in May would be an “insuperable obstacle” to a lengthy extension as “oversimplified and fallacious”. But Sharpston said there were legal measures the EU could take to avoid such an undesirable outcome, and that there was precedence from when Croatia joined the EU. She said: “One way of ensuring continuing UK representation in the European parliament during an article 50 extension might therefore be for the UK to agree with the EU just to extend the mandates of the UK MEPs who have already been democratically elected and who have been sitting in the current European parliament. Assis queria falar sobre a Venezuela no Parlamento Europeu, mas alega ter sido impedido pelo grupo parlamentar do qual o PS faz parte. Na carta de demissão, citada pelo mesmo jornal, o eurodeputado socialista explica o motivo que resultou na decisão. “Inexplicavelmente, fui impedido de participar no debate hoje [terça-feira] realizado no Parlamento Europeu, em Estrasburgo, sobre este tema, sem que me tenha sido apresentada uma explicação plausível”, refere Assis, considerando que foi posta em causa a sua “dignidade parlamentar e pessoal”. Para o eurodeputado, “a responsabilidade direta é de quem” não o deixou falar, isto é, a Aliança Progressista dos Socialistas e Democratas (S&D, sigla em inglês), disse em declarações aos jornalistas, citado pela Lusa. A EuroLat é a Assembleia Parlamentar Euro-Latino-American. Francisco Assis ocupava o cargo de coordenador há dois anos e meio. A carta do eurodeputado do PS foi entregue a Udo Bullmann, presidente do Grupo da Aliança Progressista dos Socialistas e Democratas (S&D). Confrontado com esta situação, o também eurodeputado socialista Pedro Silva Pereira vincou que “a delegação do PS não tem nenhuma interferência na distribuição dos tempos de intervenção” na sessão plenária, rejeitando responsabilidades da bancada socialista neste caso. “Isso é uma questão entre o deputado Francisco Assis e a direção do grupo parlamentar socialista europeia aqui no Parlamento Europeu”, salientou, afirmando, porém, desconhecer “os termos desse processo” de demissão. O debate de urgência sobre a Venezuela decorreu na terça-feira à tarde em plenário, sendo que quem interveio pelo PS foi a eurodeputada Ana Gomes. Paulo Rangel (PSD), José Inácio Faria (eleito pelo MPT) e João Pimenta Lopes (CDU) foram os outros eurodeputados portugueses que discursaram. António Costa disse nos Açores que “o projeto europeu faz parte do ADN do PS”, com a mesma facilidade com que Ferro Rodrigues garantia no último congresso do partido que “o combate à corrupção faz parte do ADN no PS”. Chavões como o ADN são forma que cabe em qualquer sapato. Investigações em curso e peregrinações a Évora à parte, conviria então que mostrassem coerência, na condenação que tarda, dos fenómenos de corrupção e descarada violação dos critérios de Copenhaga e do princípio da separação de poderes por parte dos governos socialistas da Roménia, que preside à UE e de Malta. Em dezembro, uma delegação de opositores eslovacos deslocou-se a Lisboa para pedir que António Costa tomasse posição dentro da Internacional Socialista, acerca das ligações entre o Governo socialista de Robert Fico e a máfia italiana, que poderiam ter motivado o homicídio de uma jornalista que as investigava e do namorado. Do PS português, apenas tiveram silêncio. Atualmente, na Roménia, o partido socialista no poder tenta aprovar uma lei de amnistia que impeça o julgamento de casos de corrupção, entre eles, de Liviu Dragnea, chefe do partido, acusado do desvio de 21 milhões de euros de fundos europeus, sendo certo que apesar da vitória eleitoral foi impedido de exercer funções de chefe do Governo, em razão de condenação anterior por fraude eleitoral. Se o PS quer ser a voz da Europa em Portugal, como propagandeia, seria bom que repudiasse os piores exemplos que nessa Europa os seus congéneres significam. Em política, as razões de princípio são universais e não de Direita, ou de Esquerda. O mesmo PS que argumenta com o Governo húngaro como arma de campanha para as eleições europeias, simplesmente por ser de Direita, é o mesmo que se cala quando em causa estão casos muito mais graves, que se encontram em governos de Esquerda, no exato momento em que, em relação ao futuro da UE, a credibilidade é de ouro. Por isso, aqui chegados, enquanto cabeça de lista do PS às eleições europeias, Pedro Marques não pode ficar calado. No caso, o silêncio terá o valor declarativo da concordância e da aceitação. E daí o repto. Repudia e condena as práticas dos governos socialistas na Roménia e em Malta? Reclamará a intervenção da Internacional Socialista? Aguardemos sentados. O deputado do PSD Miguel Morgado desvalorizou nesta terça-feira o problema das “fake news” e do populismo nas eleições europeias, considerando que se trata de “tretas” da “propaganda oficial de Bruxelas” para impedir de discutir o que é necessário. “Agora, parece que inventaram as redes sociais e passou a haver ‘fake news’ ou que a Inglaterra decidiu votar no referendo para sair da União Europeia por causa das ‘fake news’. Isso é tudo conversa de burocratas em Bruxelas e de políticos que querem proteger as suas posições e não sabem como falar com as pessoas”, disse. O social-democrata, que chegou a admitir avançar com uma candidatura à liderança do PSD, referiu-se ainda ao populismo como o “outro papão”, lembrando que “houve sempre forças extremistas nas comunidades”. “Os populistas de esquerda e direita que andam aí pela Europa toda são muito mais inofensivos do que aqueles que havia quando era miúdo. Não são eles a grande ameaça que existe para a Europa. Faz parte da propaganda oficial para nos assustar e impedir de discutir aquilo que queremos discutir”, notou. Miguel Morgado rejeitou ainda o federalismo, considerando uma “ilusão perigosa” a possibilidade de a Europa evoluir para a construção de “um superestado federal que dilua os estados nacionais”. “Temos de prosseguir o caminho de cooperação institucional ao nível europeu, mas em que a base de recuo é sempre os estados nacionais”, defendeu, perante uma plateia de cerca de uma centena de alunos. Em resposta a uma questão colocada pela assistência, o deputado colocou totalmente de parte uma eventual saída de Portugal da União Europeia, considerando que o país “está muito melhor” dentro do bloco comunitário. “Se Portugal não estivesse na União Europeia, nem uma democracia seria. As instituições políticas, administrativas e judiciais em Portugal são demasiado frágeis e corruptas para aguentar a vida de Portugal sozinho no mundo”, explicou. O ciclo de conferências sobre a Europa, promovido pela Escola Adolfo Portela, começou na segunda-feira e vai terminar no dia 1 de Março com uma conferência que terá como oradora a eurodeputada bloquista Marisa Matias, subordinada ao tema “Refugiados da Europa: Solidariedade versus medo”. Quando ouço políticos a falar de “fake news” – a designação modernaça para desinformação – fico alerta. Quando vejo políticos a anunciarem medidas para combaterem as “fake news” passo a estar inquieto. Sei que o passo seguinte será uma qualquer forma de censura ou de controlo da liberdade de informação e expressão. É fácil perceber as razões da minha desconfiança: a política sempre se fez com alguma dose de desinformação. A missão do jornalismo sempre foi combater essa desinformação. Aquilo que os políticos nunca gostaram que acontecesse foi serem apanhados a “desinformar”, quando não a mentir descaradamente. Por isso mesmo sempre foi tensa a relação entre os poderes públicos e a imprensa – por isso mesmo só posso temer que estejamos perante mais uma – há sempre mais uma – tentativa de estender o longo braço do Estado para que a sua mão chegue aonde não é chamada, ao interior das redações. Esta quarta-feira, em Lisboa, o nosso Parlamento votou uma resolução do PS sobre “fake news”, tendo o debate sido marcado pelo delicioso detalhe de o proponente da resolução ter ele próprio produzido uma declaração falsa. No mesmo dia, para não desequilibrar, o PSD promovia em Bruxelas, no Parlamento Europeu, um seminário sobre o mesmo tema. Os nossos políticos estão muito inquietos com o que consideram ser o “fenómeno de intoxicação da opinião pública” à escala global. Tão inquietos que a União Europeia criou mesmo uma unidade de missão depois de ter aprovado um Plano de Ação da União Europeia contra a desinformação, um documento curioso pois distingue mentiras legítimas – as que forem difundidas pelos partidos políticos, por exemplo – das ilegítimas, como se pode verificar lendo a definição de desinformação inscrita nesse documento. O documento da União Europeia, que ainda não traduzido para português, excluiu as notícias e comentários partidários das chamadas “fake news”. Admito que alguns leitores tenham ficado tão de boca aberta como eu próprio, pois não imaginava que a desfaçatez chegasse a este detalhe. Mas chegou. O que é revelador: o que realmente preocupa os nossos poderes públicos não é a desinformação, porque desinformação e “fake news” sempre houve e haverá – o que os inquieta é tudo o que contrarie a narrativa dominante. Incluindo tudo o que contrarie a narrativa dominante nos media tradicionais. É preciso pois ter a cabeça fria e saber distinguir o que, no novo mundo das redes sociais, são ameaças reais à democracia daquilo que são apenas ameaças a certos poderes instalados. E perceber o que pode realmente estar em causa. Mas vamos por pontos. As “fake news” são mesmo um perigo? A desinformação foi sempre perigosa. Se lermos o que Tucídides escreveu sobre a guerra do Peloponeso, que ocorreu há 25 séculos, temos uma noção do mal que um demagogo sem receio de “desinformar” (Alcibíades) pode causar a uma democracia, conduzindo-a a uma desastrosa aventura militar. E se quisermos ter uma ideia da dimensão a que pode chegar uma catástrofe alimentada uma invenção – por aquilo a que hoje chamaríamos uma “elaborada teoria da conspiração” – bastará recordarmo-nos papel recordar-nos do papel que tiveram “Os Protocolos dos Sábios de Sião” no crescimento do anti-semitismo que culminaria no Holocausto. Não me venham pois com a novidade das “fake news”, pois elas são, repito, apenas um nome moderno para um fenómeno antigo. O que é novo foi o que foi sendo novo em vários momentos da história: um novo meio de comunicação de massas. O aparecimento da imprensa de Gutenberg assustou os poderes da época, brincadeiras na rádio (como a famosa simulação de “A Guerra dos Mundos” por Orson Welles) terão lançado o pânico e muitos viram na televisão o instrumento demoníaco que destruiria as democracias. Agora, no tempo da internet, o papel do vilão é desempenhado pelas redes sociais, sem perceber, ou sem querer perceber, que estas apenas potenciam uma realidade que lhe é anterior: a fragmentação do espaço público e a delapidação da autoridade dos media tradicionais. Mas é aí que está realmente o problema, e o perigo. Trump, o Brexit e os populismos são filhos das “fake news”? Um dos problemas da fragmentação do espaço público é que se criam “bolhas” que não comunicam entre si e acabam por, vivendo no mesmo país, por vezes na mesma cidade ou até no mesmo bairro, habitarem realidades paralelas. Em 2016, entre a votação do Brexit e a eleição de Trump, entrevistei o historiador de Oxford Timothy Garton-Ash que tinha feito campanha pelo “remain” e na altura ele disse-me uma coisa que nunca esquecerei: “Eu vi como os ingleses votaram no Brexit. Por isso, não se iludam: Trump pode ganhar”. E dissera-me isso porque fizera campanha nas zonas pobres de Oxford e ouvira os argumentos dos eleitores. Depois eu próprio fui aos Estados Unidos e decidi ir às zonas desindustrializadas, voltando de lá com a percepção que Trump podia mesmo ganhar, como ganhou. Há contudo quem recuse sair das suas confortáveis bolhas e não entenda porque é que há tanta gente a votar de forma diferente – e inesperada. Ainda esta semana houve quem condenasse as “percepções” que, na sua opinião, contaminariam a realidade sem perceber que a realidade de quem vive confortavelmente num bairro da classe média alta não é a mesma de quem vive num subúrbio escalavrado. São esses os que continuam cegos às realidades que historiador de Oxford descobriu apenas olhando para as traseiras da sua própria cidade, mas que uma boa parte das nossas elites insiste em não ver. Só entende a “sua” realidade e facilmente olha para o resto como fruto de “fake news”. Um banho de humildade faz-lhe muita falta. Mas então as redes sociais não acentuam o efeito de “bolha”? Acentuam. As redes sociais conduzem-me às notícias que eu costumo ler, fazer scroll no feed do Facebbok não é como folhear um jornal ou ouvir um serviço de notícias pois não me abre uma janela com tanta diversidade sobre o que se passa no mundo à minha volta. A probabilidade de só encontrar as notícias de que goste é maior, a variedade é menor, mais facilmente me junto em grupos que pensam como eu e me “desamigo” daqueles que discordam. Tudo isso é verdade. Mas quando estudamos mais em detalhe como se deu esta fragmentação do espaço público verificamos que ela começou nos órgãos de informação tradicionais, que ela também foi consequência de uma radicalização do discurso político e da multiplicação de forças políticas radicalizadas. O chamado “centro político” começou a implodir antes do Facebook e do WhatsApp e os seus responsáveis talvez devessem começar a olhar para o que não fizeram – isto é, para onde falharam quando perderam o contacto com franjas crescentes do seu eleitorado. E não há o risco de interferência de potências estrangeiras, nomeadamente da Rússia? Claro que há. Bem-vindos ao clube. De novo a desinformação sempre foi uma arma das potências. Séculos e séculos a fio. Já se esqueceram da Guerra Fria? Querem recuar um pouco mais? Sejamos sérios: a necessidade que todos os estados têm de se defender dos seus inimigos externos (não tenhamos medo de usar as palavras) deve levá-los a usar os meios correspondentes, designadamente no que refere à partilha de informações e aos serviços de espionagem. Mas daí a criar, como propôs Emmanuel Macron, “uma agência europeia de proteção das democracias que providenciará peritos europeus para cada Estado membro para proteger o seu processo eleitoral contra os ciberataques e as manipulações”, vai um passo enorme, pois passamos a estar no limiar da limitação da liberdade dos cidadãos de cada Estado escolherem os seus representantes, pois estamos muito perto de uma agência de fiscalização de processos eleitorais. Eu sei que na “bolha” de Bruxelas e de certas capitais europeias não se compreende que se possa ser eurocéptico pois na “realidade” em que vivem a União Europeia só tem vantagens, mas numa sociedade pluralista mesmo dessa “realidade” podem existir leituras diferentes. É por tudo isso que digo que o perigo destas campanhas selectivas contra a “desinformação” é serem, precisamente, campanhas em defesa de uma determinada narrativa, isto é, campanhas em nome de uma e só uma leitura da realidade. Dir-me-ão: exagero. Respondo com a minha experiência: não confio nestes arautos da “verdade”. Não consigo levar a sério quem se recusa a discutir as campanhas sujas do o Miguel Abrantes do Câmara Corporativa. Não consigo esquecer que o grande arauto do combate às “fake news” na agência de notícias do Estado (de que agora é presidente) é o mesmo jornalista que inventou o famoso “especialista das Nações Unidas” Artur Baptista da Silva, o louvou no Expresso e o entrevistou na SIC. Por outras palavras: tenho o calo de muitos anos de profissão e desconfio instintivamente de “vigilantes”, sejam eles quais forem, mesmo vindos com as melhores intenções do mundo. E, depois, há coisas bem mais importantes do que o combate às “fake news” onde gastar o dinheiro dos nossos impostos. Theresa May appealed to members of Parliament to back her deal or risk seeing Brexit canceled, as the European Union made a new offer in talks that falls far short of U.K. demands. Barnier makes a new offer on the backstop — letting Britain exit the backstop, but keeping Northern Ireland in it. That’s not acceptable to May. The U.K. had already rejected the EU’s latest offer — that it would allow the so-called Irish backstop to apply only to Northern Ireland rather than the whole U.K. — on Tuesday, according to a person familiar with the situation. It’s essentially a return to the EU’s initial plan for the border, and Theresa May has long said such a solution would be unacceptable because it would effectively create a barrier between Northern Ireland and mainland Britain. The EU also offered to bolster good-faith and best-endeavor provisions in the deal. The U.K. government was unhappy with the EU’s proposals, according to another person familiar with the situation. EU chief negotiator Michel Barnier told European ambassadors that there’s been no progress in Brexit talks, according to a person familiar with the situation. Still, he outlined new proposals in an effort to make the so-called Irish backstop less controversial in the U.K. The headline-grabber is allowing Great Britain to leave the backstop unilaterally, leaving Northern Ireland behind. May has always said that would be unacceptable, and it’s essentially a return to the EU’s initial plan for the border. Barnier, who is said to have told ambassadors he fears the blame game has started, vowed to keep working to find a solution. “The EU will continue working intensively over the coming days to ensure that the U.K. leaves the EU with an agreement,” he said on Twitter. In a further sign that talks aren’t making progress, U.K. Attorney General Geoffrey Cox — who is leading British efforts — isn’t expected back in Brussels this weekend, two people familiar with the situation said. Labour lawmaker Peter Kyle told Bloomberg that “several dozen” Conservatives support his planned amendment to withhold approval of May’s Brexit deal unless it’s confirmed in a public vote. Kyle said he and his co-sponsor Phil Wilson haven’t yet decided whether to propose the plan for consideration with Tuesday’s meaningful vote on May’s deal. He suggested they would only propose the amendment, which is supported by Labour, if the vote looks close. At the moment, the House of Commons “is hardening against the government,’’ which looks likely to lose by a wide margin, he said. Tories who support the amendment “will only come across to it when they feel that every other avenue has been explored,” Kyle said. “If the House believes it’s going to defeat the prime minister decisively again, then we’re going to have another week of exploring” options. The amendment “has to go down at a moment where it is an effective tool to get us out of this mess,” he said. As the cliff edge nears, DUP Leader Arlene Foster called on the EU to move into “deal-making mood,” another sign the bloc is holding firm as the U.K. seeks to eat away at the backstop. Once again, Foster, whose party props up May’s government in Parliament, demanded legally-binding changes to the withdrawal agreement and outlined her opposition to postponing Brexit day. Following her speech, May refused to say how she’d instruct Conservatives to vote on the question of leaving the EU without a deal if Parliament rejects her divorce agreement next week — or how she’d vote herself. As things stand, not enough members of Parliament in her Conservative Party are likely to back her deal on Tuesday, meaning May will have to bring further votes on a no-deal Brexit and on extending negotiations with the EU. Brexit supporters argue that May should vote for leaving the EU without an agreement and instruct her party to do the same. But that would risk provoking multiple ministerial resignations, so she’s more likely to designate it a so-called free vote where there’s no party line to take. May said that Brexit might never happen if MPs refuse to back her deal with the EU in a decisive vote in Parliament next week. Asked about Prime Minister Theresa May’s effort to shift the Brexit blame onto the European Union, the EU executive in Brussels said it “has offered ideas” on how to break the impasse over the Irish-border backstop. “You have followed the process of negotiation and talks very closely, so you know that the EU side has offered ideas on how to give further reassurances regarding the backstop,” said Alexander Winterstein, a spokesman for the European Commission, the EU executive. “Intensive work is ongoing as we speak,” he told reporters in Brussels on Friday. 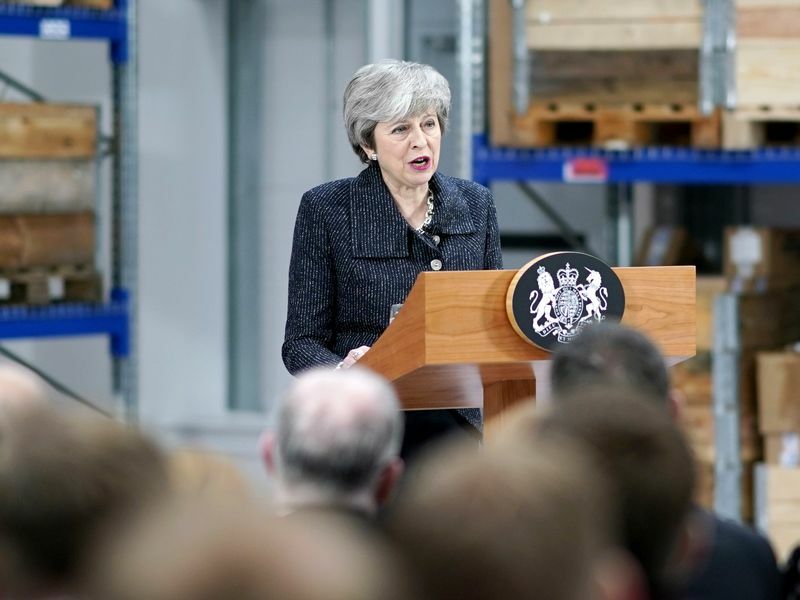 Theresa May spoke with her counterparts in Bulgaria, Portugal and Denmark on Thursday to set out the U.K. position on the Brexit talks, her spokeswoman Alison Donnelly told reporters in London on Friday. “She will continue to engage today and over the course of the weekend” in phone calls with other EU leaders, Donnelly said. The premier doesn’t currently have plans to travel to Brussels over the weekend, Donnelly said. That’s a sign that a breakthrough isn’t yet in sight. Nevertheless, Donnelly said the premier still intends to hold the vote she has promised on her Brexit deal on Tuesday. Conservative Brexiteer Andrea Jenkyns said “it’s looking highly unlikely” May will get her deal through Parliament next week unless there is movement around the contentious Irish backstop issue. Brexit Secretary Steve Barclay will take questions from the House of Commons Committee on Exiting the European Union at 4 p.m. on Monday, according to an Parliament email, ahead of the key vote Tuesday on May’s Brexit deal. Barclay canceled an appearance this week due to talks with the EU in Brussels, and committee chairman Hilary Benn used a parliamentary session on Wednesday to ask Speaker of the House of Commons John Bercow to intervene. Though Bercow said he had no power to force Barclay to appear to answer lawmakers’ questions, he also stressed that “it’s desirable in terms of the scrutiny and accountability process” for Barclay to go before the committee. It appears he listened. The EU’s 27 national ambassadors are convening an emergency meeting to discuss Brexit at 3 p.m. in Brussels today, an EU official said. In the behind-closed-doors discussion, the bloc’s Brexit negotiators will update the envoys on the latest situation following May’s speech in the U.K., with talks between the two sides looking set to roll into the weekend. Attorney General Geoffrey Cox, who’s leading the negotiations for the U.K., won’t be heading back to Brussels on Friday, British officials said. No visit had been formally announced, but it adds to the sense that the two sides don’t have much to say to each other. While there are no plans for a trip today the situation is fluid and both Cox and Brexit Secretary Steve Barclay are ready to travel at short notice — potentially over the weekend — if necessary, the officials said. Foreign Secretary Jeremy Hunt said May has been “extremely dignified” in the way she’s approached the negotiations with the EU and the bloc needs to give ground as the talks draw to a close. “History will judge both sides very badly if we get this wrong, we want to remain the best of friends with the EU — that means getting this agreement through in a way that doesn’t inject poison into our relations for many years to come,’’ Hunt told BBC Radio 4. Steven Bell, economista-chefe da BMO Global Asset Management, elogia a estabilidade portuguesa, num contexto de incerteza na Europa. Mas alerta que em vez de boom económico, é apenas recuperação. O pessimismo quanto à desaceleração económica global atingiu um pico e a realidade vai acabar por ser menos negativa que o esperado, na opinião do economista-chefe e gestor de soluções multi-ativos da BMO Global Asset Management. Em entrevista ao ECO, Steven Bell explica que a estabilidade e o crescimento acima da média da Zona Euro em Portugal tornam o país mais atrativo para investidores estrangeiros. A preocupação da Europa é, no entanto, Itália, numa altura em que existem problemas políticos nas quatro maiores economias da Zona Euro. A desaceleração na economia global parece ser uma das principais preocupações atuais dos mercados. Como vê os constantes avisos por parte do Fundo Monetário Internacional (FMI), Comissão Europeia, bancos centrais e outras instituições? É certo que estamos perante uma desaceleração económica global e com certeza há preocupações, mas há uma série de razões pelas quais a economia mundial continuará a expandir-se e a principal é a inflação, que está no ponto certo: nem muito alta, nem muito baixa. Não é como há três ou quatro anos, quando muitos se preocupavam com a deflação. Ninguém está preocupado com a deflação agora. Mesmo no Japão, os preços estão a subir. As únicas exceções são países onde a moeda caiu muito, como a Venezuela. Em quase todos os países, a inflação não é um problema, o que é uma grande vantagem. A inflação é muito baixa na Zona Euro e no Japão. Não consegue chegar a 2%, mas está mais perto e penso que alcançámos o ponto mais baixo para as expectativas de crescimento europeu. O FMI, a Comissão Europeia, todos os bancos de investimento cortaram as previsões… Para a economia mundial como um todo, o importante é que a China tem estado a desacelerar, mas a ajustar-se e começa a divulgar dados um pouco melhores. Na Europa, penso que veremos um ponto de viragem nas expectativas e os dados a melhorarem um pouco. Acredito que, este ano, o crescimento será igual ou até um pouco melhor do que as projeções. Então não há razões para começar a pensar numa recessão? Não vejo uma recessão. As condições financeiras estão facilitistas e os estímulos estão a tornar-se mais ligeiros, principalmente na China. A China está numa fase de desaceleração estrutural porque chegou à meia-idade e tem um grande problema de crédito. É um caso único: um grande país com um governo comunista que persegue políticas capitalistas. Como a Coreia e o Japão antes deles, cresceram muito rapidamente e, quando os agregados familiares alcançaram um rendimento de sete mil dólares ao ano, desaceleraram. Têm problemas, mas vão continuar a crescer a um ritmo razoável. Esse ajustamento é uma ameaça à economia global? Qual é o impacto da guerra comercial nestas mudanças? O ajustamento desacelerará e mudará o crescimento chinês, que tem sido impulsionado pelas exportações. Penso que vai passar a ser mais doméstico. O país não é um exportador de serviços e, no entanto, os serviços representam uma grande parte da economia, maior até que a indústria. É o próximo estágio de desenvolvimento. Já não é barato produzir na China… A grande guerra comercial com os Estados Unidos não é sobre comércio, é sobre poder global. É sobre quem é o país dominante militarmente, estrategicamente e tecnicamente. Penso que é uma questão diferente das negociações comerciais. Mas, embora seja estatisticamente negativo, a realidade é que Donald Trump precisa de um acordo comercial e a China também. Irão encontrar alguma saída, mas até lá a batalha continua. Considera que existe o risco de uma onda global de protecionismo? Sim. Infelizmente, temos de falar um pouco sobre o Brexit… A Europa sem o Reino Unido será mais protecionista. Penso que temos este belo mercado único, que é muito bem-sucedido e liberal. Há mais pressões a favor do protecionismo e a realidade é que as tarifas são muito baixas, mas grande parte do comércio não é industrial, mas serviços. Portanto, existem barreiras e restrições não tarifárias que são mais atraentes que as tarifas porque são mais fáceis de serem impostas. Voltando à saúde da economia global, penso que a China vai ajustar-se e a Europa vai continuar com um desempenho ligeiramente melhor que o esperado. No resto do mundo — excluindo os EUA –, o pessimismo já atingiu o pico. Na realidade, é um pouco dececionante na Europa… O emprego está em máximos em países como Portugal, que passaram por momentos terríveis e dos quais estão a recuperar. Mas não é um boom, é uma recuperação e é dececionante… Temos que olhar para fatores como a demografia ou o desejo de ter uma rede de segurança na economia, que significa maior regulação e maiores restrições. É compreensível, mas restringe o crescimento. É o modelo europeu e penso que será o futuro: crescimento mais lento, pleno emprego e inflação que demora a subir. O que causa este crescimento dececionante? Há vários fatores especiais na Europa. Entre eles está o rio Reno, que é uma enorme faixa de transporte e não foi possível movimentar barcos devido ao verão muito quente. Há produtos, como os químicos, que não podem ser movidos por estrada, de modo que a produção industrial foi prejudicada. Além disso, os preços da energia não caíram quando os preços do petróleo o fizeram, portanto agora veremos uma recuperação. Da mesma forma, os coletes amarelos na França prejudicaram realmente a economia. Foi o PMI [índice de gestores de compras] mais baixo em qualquer país desenvolvido, mas vai recuperar. Então a França é o grande problema para a Europa? Têm sido fatores temporários. Temos de ver se as reformas de Emmanuel Macron continuarão. O presidente francês acabou de dar arrancar com estímulos orçamentais, mas não reverteu realmente as reformas e, se conseguir continuar, será positivo. Sim… Mas teremos eleições para a Comissão Europeia e o que se passa com os défices orçamentais é que quando foi com Portugal, houve palavras muito fortes, mas quando é França ou a Alemanha, é uma história muito diferente. A Comissão Europeia é muito boa a fazer bullying… E o último grande país que ameaçaram foi Itália porque tem um Governo fora do comum. Itália nunca teve a força que o seu tamanho económico determinaria. Não sei porquê… Talvez devido a muitos Governos e fracos. Há um novo governo a cada ano. Não sei porque é que Itália nunca foi tão forte quanto deveria ser, mas em termos de défice orçamental, penso que não haverá grandes mudanças. Existe a possibilidade de a Alemanha se tornar um pouco mais expansionista, mas todos os países têm problemas políticos reais. Todos os países estão fracos, sem exceções. Portugal também está nesse grupo de países com problemas políticos? Exceto Portugal, talvez. Portugal é diferente. Teve muitos problemas políticos, mas não, a situação não é especialmente difícil neste momento. Estava a pensar em França, Alemanha, Espanha e Itália. Em termos de fatores económicos, há outra questão: as mudanças nas emissões [de dióxido de carbono] e a transição para carros elétricos são ameaças reais para a indústria automóvel da Alemanha. A Alemanha enfrentou muitos desafios e este é outro. A transição não é impossível, mas será difícil. Portanto, penso que a Europa não está assim tão mal: crescimento lento, mas a melhorar. As estimativas da Comissão Europeia projetam que a economia portuguesa cresça mais rápido que a Zona do Euro durante, pelo menos, dois anos. Concorda? Sim. Portugal fez ótimos ajustamentos, é uma economia aberta e o maior parceiro comercial está mesmo ao lado. Quando Espanha estava em recessão, exportou-a. Mas agora tanto Espanha como Portugal estão bem. Não há nenhuma crise grave que eu consiga ver, portanto a perspetiva é positiva para Portugal, como uma das economias em crescimento mais forte. Mas não é um Portugal em expansão, é apenas um crescimento modesto. Simplesmente, o resto da Europa é tão fraco que Portugal será uma das economias que mais crescem este ano. Portugal torna-se, por isso, mais atraente para investidores internacionais? Sim. Penso que é mais interessante. A maioria dos investidores estrangeiros vê a Europa como um todo e escolhe uma região que funciona. Penso que há muito interesse em Portugal, que é muito atrativo devido à sua estabilidade, comparativamente a outros países e olhando para o que aconteceu no passado. Parece-me um país muito interessante para investidores estrangeiros. Os elevados níveis de dívida pública não são um risco? Não, não penso dessa forma. A dívida é um problema para quem tem dívida em moeda estrangeira — e é claro que Portugal não imprime euros –, mas não tem um grande problema na conta corrente. Não considero que a dívida seja um problema e penso que não é aí que está o foco. As taxas de juro estão tão baixas que não há problemas com a gestão da dívida. Se houver uma crise, já é uma história diferente… Mas isso parece-me distante. Considera que Portugal está preparado para a redução dos estímulos na política monetária? Portugal está em ótima forma. Os fundamentais estão a melhorar… o país com que há preocupações é Itália. O problema em Itália é que não há crescimento. Não são os bancos e não é a dívida, é que não há crescimento. Tivemos reuniões com os principais analistas da Standard & Poor’s e da Moody’s para a Europa e ambos concordaram que o problema é o crescimento. O facto de Itália ter tido dois trimestres de crescimento negativo e PMI muito baixos penalizou a confiança. Mas penso que a perspetiva para Itália é um pouco melhor, porque irão definitivamente beneficiar de preços mais baixos de petróleo e do facto de o défice orçamental já não ser exatamente o problema que era. Mas esse número [do défice] mostrou a fraqueza na Itália e prejudicou o mercado de obrigações, o que é uma pena. Portanto penso que Itália é o principal país que vai debater-se com o aperto da política monetária. Não é Portugal. As taxas de juros estão incrivelmente baixas para Portugal e o país está em boa forma para resistir a uma subida sem nenhum problema. Sem ser demasiado otimista — porque não é um boom –, a perspetiva é bastante positiva. Se a economia portuguesa está em recuperação, mas não num boom, quando podemos esperar esse boom? Não vejo um boom… Mas vejo melhorias graduais na economia. As próximas eleições legislativas, em outubro, também não serão um problema? Falou de surpresas em países que conhece. Está a referir-se ao Brexit? Qual é a sua expectativa para esse processo? O Brexit é uma confusão… Quando falo com pessoas que estão muito próximas das negociações dizem-me que a primeira-ministra não faz ideia do que vai acontecer. O líder da oposição não faz ideia do que vai acontecer. Portanto, eu não faço ideia. É uma confusão. Qualquer cenário parece complicado de resolver. Se formos positivos e assumirmos que conseguiremos um acordo, então será passado e sairemos suavemente. Mas, ainda assim, teremos de negociar o nosso relacionamento com a UE, o que vai ser um pesadelo e a incerteza vai continuar. Não há nada de positivo para a economia do Reino Unido depois do Brexit. Mas continuaremos e seremos a mesma economia amanhã como somos hoje. Vamos crescer e vamos continuar. As coisas vão mudar, haverá um ambiente económico menos positivo após o Brexit, mas não é um desastre. Não é o fim do mundo… As pessoas deixam-se levar, às vezes. Não sei se vamos conseguir um acordo, um atraso ou até mesmo um segundo referendo. Não é provável, mas é praticamente possível. Todos os cenários estão abertos. O meu melhor palpite é que conseguiremos um acordo e que a Irlanda tem muito a perder com um Brexit sem acordo. Penso que vão acabar por ceder. Elections this May could herald a big shake-up of the European parliament. The duopoly of centre-right and centre-left is expected to lose its majority for the first time in 40 years of direct elections although Emmanuel Macron’s La République En Marche (La REM) is expected to win seats for the first time, boosting liberal forces. Verhofstadt, the leader of the European parliament’s Alliance of Liberals and Democrats for Europe (ALDE) since 2009, said pro-European centrists had “a last chance” after the vote to wrest back ground from nationalists and populists before the next electoral contest in 2024. In an interview with the Guardian and five continental papers, the former Belgian prime minister said the EU needed an overhaul – managing the eurozone, migration and common defence – if it was to gain greater public support. “Nothing is eternal. Nothing. Not all political institutions are eternal. To reform is a duty that we have … and if if we fail, then the tragedy, the nightmare will become reality,” he said. Verhofstadt endorsed the “European renaissance” promoted by Macron in a pan-European column this week. He said the expected arrival of La REM MEPs would create a bloc broader than the current ALDE but he had no ambition to lead it. “A new centrist, pro-European reformist political force” was needed as an alternative to nationalists but also the status quo, Verhofstadt said. He ruled out a future alliance with Italy’s Five Star Movement, because of the power-sharing agreement with the far-right League party led by Matteo Salvini. Verhofstadt faced a backlash from his group two years ago when he sought to bring the Five Star Movement into ALDE, out of Nigel Farage’s Eurosceptic alliance. Rejecting suggestions of a mistake, Verhofstadt said it was “now no longer possible” for Five Star to join the liberals, which he said was a pity because of the pro-European MEPs in its ranks. Verhofstadt has also crossed rhetorical swords with Hungary’s prime minister, Viktor Orbán, over migration and the rule of law. 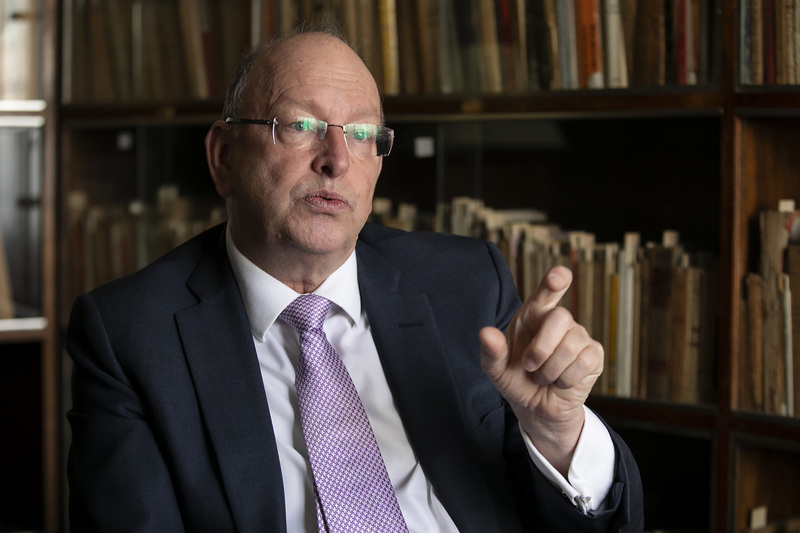 The MEP accused his political rivals in the centre-right European People’s party (EPP) of “lacking political courage” in dealing with Orbán after the European commission president, Jean-Claude Juncker, was targeted in an anti-EU poster official campaign with antisemitic overtones. There have been “awful posters in Budapest for months and months”, Verhofstadt said, referring to campaigns against him as well as the Hungarian-born philanthropist George Soros and the Dutch MEP Judith Sargentini, who launched the rule-of-law sanctions process against Hungary. The leader of the EPP, Manfred Weber, gave an ultimatum to Orbán on Tuesday to stop attacks on the EU, apologise to the EPP and allow Soros’s Central European University to continuing issuing US degrees from Budapest in order to avoid his party’s expulsion from the group. Verhofstadt has been accused by political rivals of delaying debate into the affairs of his own “problem” leader, the billionaire Czech prime minister, Andrej Babiš, a member of the ALDE group who stands accused of a conflict of interest over EU funds. Verhofstadt is best known in the UK as the European parliament’s Brexitcoordinator, but he does not want to prolong his work. Extending Brexit talks for a long time without a clear outcome from the British parliament in next week’s vote would be “the worst thing” for the EU, he said, claiming that Brexit was sapping the EU’s ability to agree on contested subjects such as eurozone reform and migration. (Express) PORTUGAL has warned the European Union faces becoming more protectionist under Franco-German proposals to restrict Chinese businesses on the Continent. Portuguese prime minister Antonio Costa urged his EU counterparts to avoid misusing new security procedures for Chinese business in order to throw up protectionist trade barriers across Europe. France and Germany have demanded that EU countries follow their push to use “tough national legislation” on screening non-EU investments The two EU superpowers last month were infuriated when the European Commission blocked the planned Siemens-Alstom merger, which was supposed to create a rail equivalent to Airbus to do battle China’s state-backed CRRC, the world’s biggest train manufacturer. At the same time the European Parliament approved new regulations for screening external investments. The bloc’s leaders are attempting to bolster their defences against China, amid fears that Beijing’s state-backed firms are seeking to buy sensitive technology and infrastructure or use contracts to conduct military or industrial espionage. But in an interview with the Financial Times, Mr Costa said EU countries should resist implementing protectionist policies despite the perceived threat. He said: “It is one thing to use screening to protect strategic sectors, it is another to use it to open the door to protectionism. “Our experience with Chinese investment has been very positive. Portugal is one of Europe’s top recipients of Chinese investment with groups from the Asian country pumping in billions of euros since the financial crash. Energies de Portugal, the country’s main energy firm, is under a €9 billion takeover attempt by state-owned China Three Gorges, which already owns 23 percent. Other Chinese companies control Luz Saudi, Portugal’s largest private hospital group, and Fidelidade, the largest insurer. Mr Costa said the Franco-German plans to create “European champions” by allowing the creation of industrial superpowers through mergers risks upsetting competition within the EU. Allowing the strongest economies to host the most powerful companies would prove “a great mistake for Europe”, he said. Competition Commissioner Margrethe Vestager today hit back at a Franco-German drive to rewrite the bloc’s rules. Ms Vestager continues to stand firm, insisting Europe is better off pursuing a regime that pushes fair competition rules. “We have a lot of state intervention in our economy but basically it is a very strategic choice to have fair competition – and you can see that it bites,” she said. The Danish Commissioner said Brussels should have a “more nuanced and more pragmatic approach” to competition policy. She added that data analysis is becoming more important in creating a strategy to fend off Chinese state-backed business and Donald Trump’s protectionist policies. Brussels’ current strategy “has served us well”, she said. EU states may block moves to put Saudi Arabia on an EU money-laundering blacklist, reports Reuters. The news agency says Saudi Arabia’s King Salman had sent letters to all 28 EU leaders urging them to not inclde Riyadh on the register, noting it could affect trade with the EU. It also comes after the Saudis paid the College of Europe to set up private meetings with EU institutions. (EUobserver) Hungary and Slovakia have promised to open diplomatic missions in Jerusalem, going against the EU line that the city should be shared between Israel and a future Palestinian state. “We will have an official presence in Jerusalem,” Hungarian leader Viktor Orban said in Israel on Tuesday. The Czech Republic also opened an official delegation in Jerusalem after the US moved its embassy there last year. Personally, and with no personal gain in it,i would love to see corporate issuers relocate to London, as the article suggets. In my opinion, the EU has morphed into a non elected organization that has all the ticks of an imperialist dictatorship. 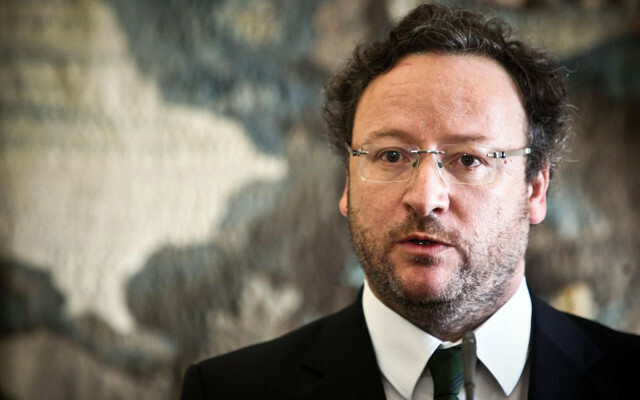 Francisco Assis, a Portuguese Member of the European Parliament (MEP) for the centre-left Progressive Alliance of Socialists and Democrats (S&D) political group has warned against the return of antisemitism and the infantilisation of European public discourse in a column for the Portuguese daily newspaper Publico. “I firmly believe that the intellectual and political collapse of moderate currents of thought, in the context of the infantilisation of public discourse, opens the door for the rise of those brutal and infamous ideologies, which have not been strange to us in the past,” Mr. Assis concluded. Billionaire investor and liberal political activist George Soros said Europe needs to recognize its enemies, both internal and external. He said the European Union could experience the same fate as the Soviet Union which collapsed in 1991. Billionaire investor and liberal political activist George Soros has issued a call for Europe to “please wake up” and recognize “the magnitude of the threat” it faces from what he said were its enemies, both internal and external. “If they don’t, the European Union will go the way of the Soviet Union in 1991,” he said, alluding to the dramatic dissolution of the USSR and the fall of Communism in 1991. The European Union (EU) is experiencing a “revolutionary moment” and the eventual outcome is “highly uncertain,” Hungarian-American investor Soros added. Worse still, Soros believed that neither Europe’s leaders nor ordinary citizens appreciated this fact. European Parliament elections in May 2019 were the next inflection point for the bloc. Anti-establishment, euroskeptic parties are expected to perform well. “Unfortunately, anti-European forces will enjoy a competitive advantage in the balloting. There are several reasons for this, including the outdated party system that prevails in most European countries, the practical impossibility of treaty change, and the lack of legal tools for disciplining member states that violate the principles on which the European Union was founded,” he said.